The Avengers: Age of Ultron making its way onto the big screens very soon. And what better timing than for Zen Studios to include the theme of this very movie as a Zen Pinball 2 add-on for the various consoles of today. 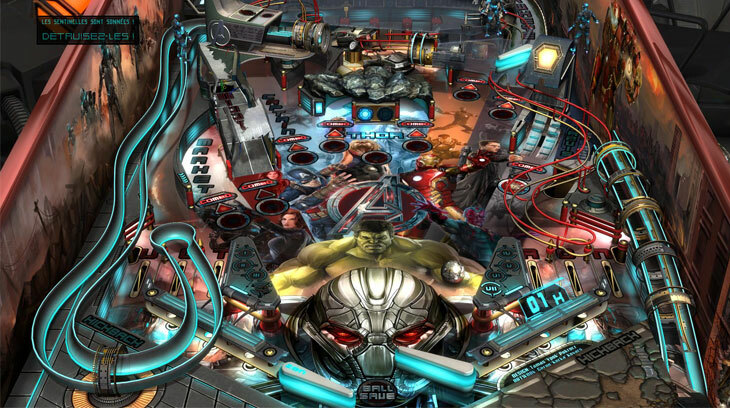 I shall be looking at the Playstation 3 and Vita versions to see how The Avengers: Age of Ultron plays out in its pinball style. The story revolves around the Avengers battling against Ultron and his minions. Rest assured that there are no spoilers to the movie when playing this pinball table. You start off with some excitement as you have the option of immediately launching either one or two balls at once. This is what makes this particular add-on somewhat unique and differentiating from the other tables within Zen Pinball 2. On the front part of the table, there is plenty of space for the ball to move in, which also affords you the opportunity to appreciate the artwork within. Additionally, you have Black Widow occupying a spot near the flippers in which you get to see her take on robot minions from time to time. There are also bumpers in the form of cars along with both Ultron and Stark occupying at the back of the table. Note that there is also a third flipper which was hard to notice initially, especially with the fast-paced action going on here. Furthermore, there are ramps on the sides that lead to certain lanes based on the event that is currently taking place. And then in the middle of the lower field, there is a couple of drop targets. I must say that it does get hard to see at times because of the amount of detail from the background as well as the colors while the ball is moving. Nonetheless, the overall layout of this table remains appealing as it is exciting. It’s always a blast to see the characters duking it out in battles right on the pinball table itself. Although they could serve as distractions, the animations are pretty top-notch. The voice acting does need some time for players to get used to if they are expecting the actual actors from the movies to participate, which isn’t the case here. Still, I find the audio to remain as thrilling and uplifting. 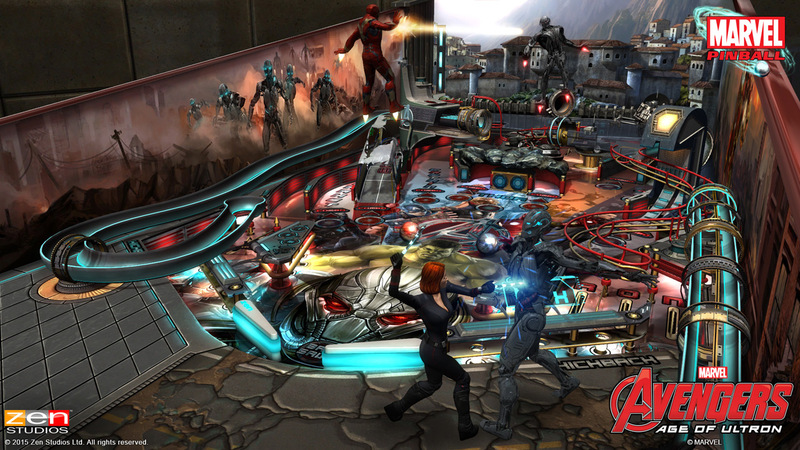 If you are a Zen Pinball 2 enthusiast, then The Avengers: Age Of Ultron is a solid table that you need to include as an add-on. Despite a few shortcomings, there’s plenty of fun and excitement waiting for you here.